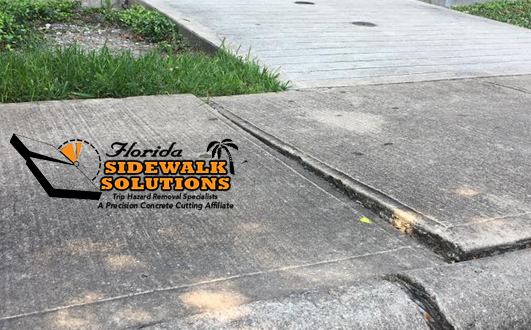 Uneven concrete sidewalk panels and sidewalk cracks are more than just eyesores. They’re dangerous. They’re also a liability risk. 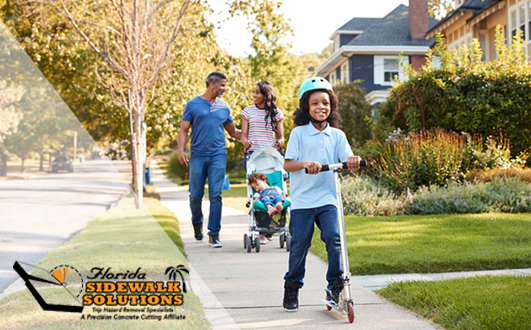 Fortunately, the option to have a cement sidewalk repair company remove trip hazards is as practical as it is affordable. 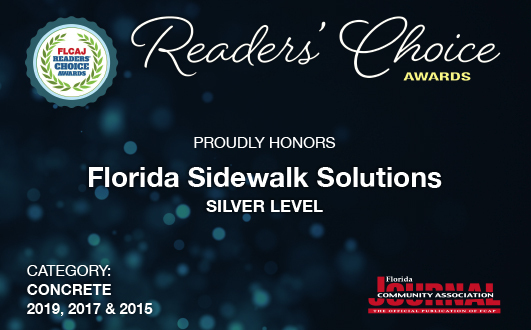 Florida Sidewalk Solutions provides a diverse variety of clients that solution. 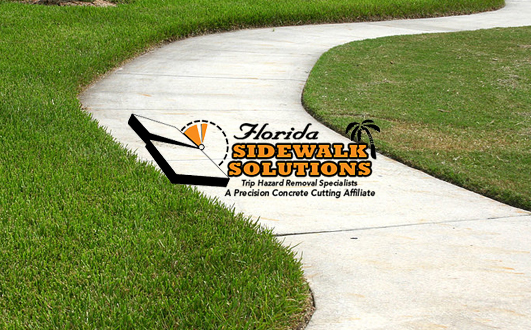 Our sidewalk contractors utilize advancements in concrete cutting technology to repair cement sidewalk problems quickly without the hassle of pouring new concrete. 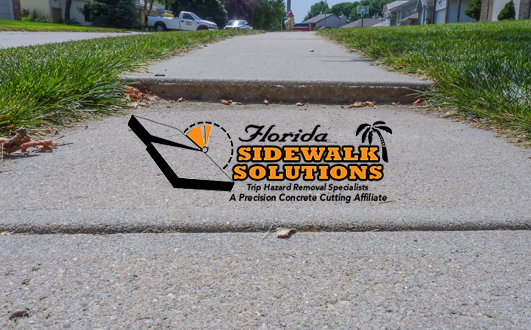 You can learn more about removing trip hazards with cement sidewalk repair in the article below. However, if you’re ready to begin or want to get a free quote, contact our team today! 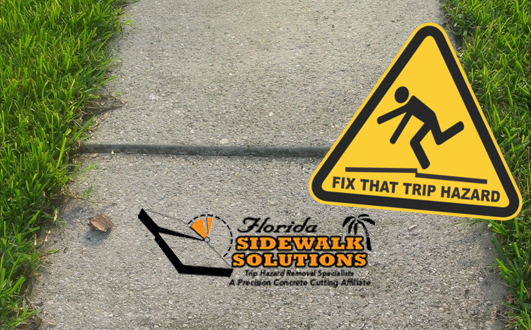 Whether you have a private path or a public walkway, removing trip hazards is worth considering. The methods for removing trip hazards include a few different options. First, there’s grinding concrete down until the uneven spots have less of an incline. The problem with using concrete grinders is it is difficult (if not impossible) to actually remove the trip hazard completely. Of course, there’s always the option to replace the concrete completely. What this entails, however, is arduous work that disrupts the area for a significant amount of time. Pouring new concrete is a hassle even for professional sidewalk contractors. The third option to repair cement sidewalk is concrete cutting. This option is superior to the alternatives because it removes the liability completely and is minimally disruptive. In fact, our team is even capable of completing projects on the same day we begin them. 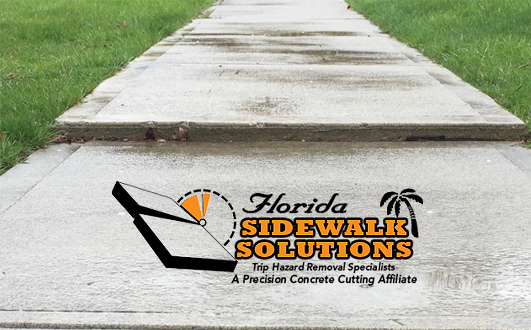 Florida Sidewalk Solutions offers homeowners, businesses, HOA boards, municipalities, and anyone else responsible for the state of a walkway the option to keep the sidewalk and remove the liability. 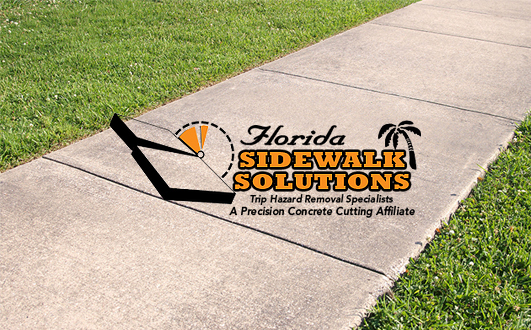 Our workers use concrete cutting equipment with precision technology to fully cut panels until they are perfectly level surfaces. 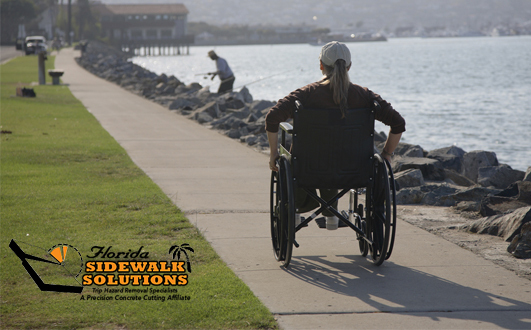 Upon completion, the sidewalks meet the standards for ADA compliance, virtually eliminating any potential danger. 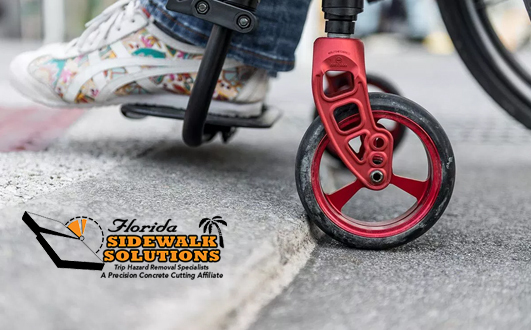 ADA compliant walkways cannot have inclines on the surface in excess of 1/4″. Our method is a more environmentally friendly option than injecting or replacing concrete, more effective than grinding, and, best of all, more affordable. 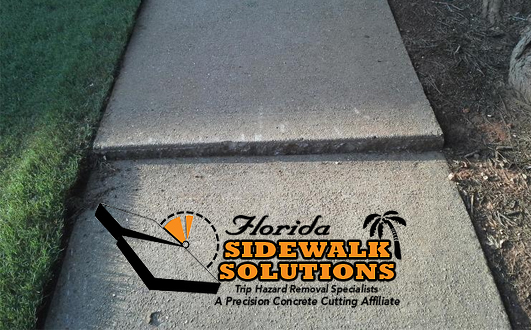 Additionally, we stand behind our cement sidewalk repair service with a satisfaction guarantee. 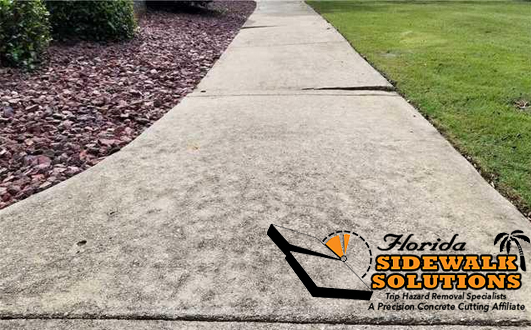 Contact our team to get a free quote for the cost of removing a trip hazard on your property. 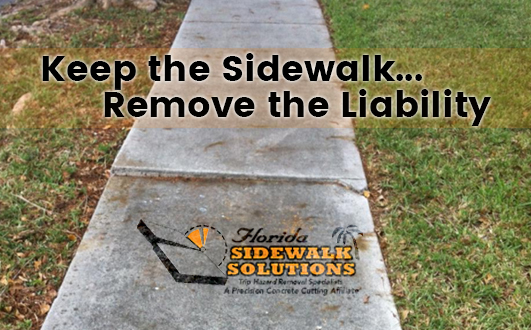 Restore the walkway and reduce your risk of being held liable for an injury.